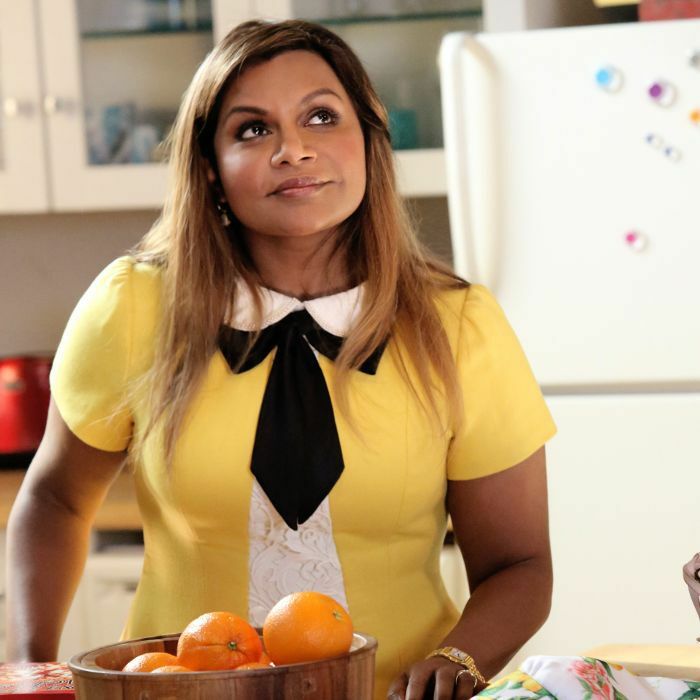 Unlike her on-screen character, The Mindy Project's Mindy Kaling seems to have life figured out. She's the creator and star of the hilarious hit show; has gained accolades as an actor, writer, and executive producer of The Office; and has penned two best-selling books. Yet in an interview with MyDomaine, the comedian reveals it hasn't always been smooth sailing. We sat down with the cast of The Mindy Project ahead of the Season 5 premiere to find out what advice they wish they knew in their 20s. Yes, there's a couple of wisecracks ("Don't mix tequila and rum"), but the candid chat also reveals some honest advice we can all get behind. It turns out, even those at the top of their career have worked through tough times. This is what the stars of The Mindy Project would tell their 20-year-old selves. Ed Weeks, who plays Dr. Jeremy Reed on The Mindy Project, says he'd tell his younger self to quit worrying. "I think the big problem in this world is fear—fear of each other, fear of one's self, fear of the future, fear that the past will repeat itself," he tells MyDomaine. "Growing up in this world, you have pressure … to have a good job, partner, life, apartment, house, and the this and the that. I find this to be spectacularly unhelpful." Instead, Weeks would tell those in their 20s to relish that time of their life. "Don't expect everything to happen in your 20s or your 30s; just do what feels right and experience life. Know that if you're openhearted and give and receive love, good stuff will work out." The star of the show, Mindy Kaling, says some of her personality traits were heightened during her 20s, and that she wish she took a moment to enjoy that stage of her life. "I'm a very high-strung person, and I was even more so when I was younger, so I think I would tell myself to slow down," she says. Beth Grant, aka Beverly Janoszewski, says she felt transported back to her teenage self when filming in her hometown of Wilmington, North Carolina. "I got this strong sense that I could go to my bedroom in that door and I could be there watching that girl, and I thought, I just want to tell her, 'It's okay; you're going to be alright. You're going to make it,'" she recalls. When she finds herself fretting over something she has no control over, Grant says the key is to acknowledge it and decide to move on. "My friends call [worry] 'the sniper,'" she says. To quash the feeling, she practices this self-talk: "I just say [to myself], Thank you for paying attention; I love that you’re overscrupulous; I don’t want to hear it. I just want to take a bath, walk, or my work.” Now that's advice we can all get behind. Isaac "Ike" Barinholtz, who plays Morgan Tookers, gets serious, if only for a second. "There were a couple of periods of time where I wasn't doing fine. I just want to go back and tell myself—not even that it's going to be okay, because sometimes it’s not okay—that the real winners to me are the people who, whether it's going great or it's not going great, they're always in a good place and taking life as it comes," he says. One last piece of wisdom: "And don't mix tequila and rum because you'll throw up a lot." "I don't know if I'm the kind of person who lives in regrets, cause that's not a good way to live your life. You've got to learn from everything," says Brian Greenberg, who plays Ben, a new pediatric nurse introduced in Season 5. "I'm pretty happy where I am right now, but I would say, 'There’s no getting there; it's a journey. Don't ever let up. Keep fighting, keep hustling, keep at it.'"